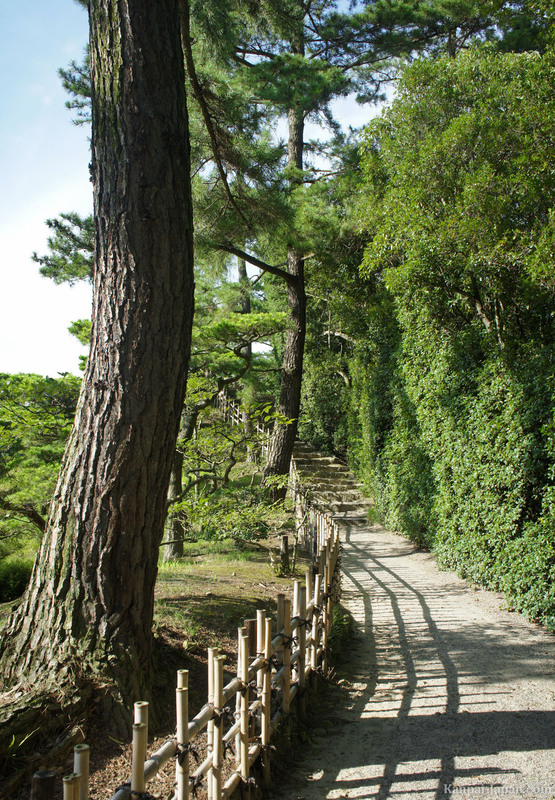 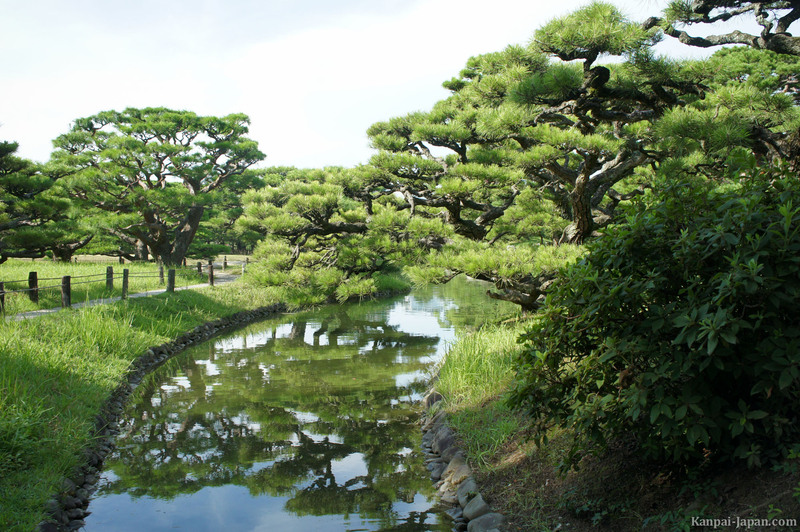 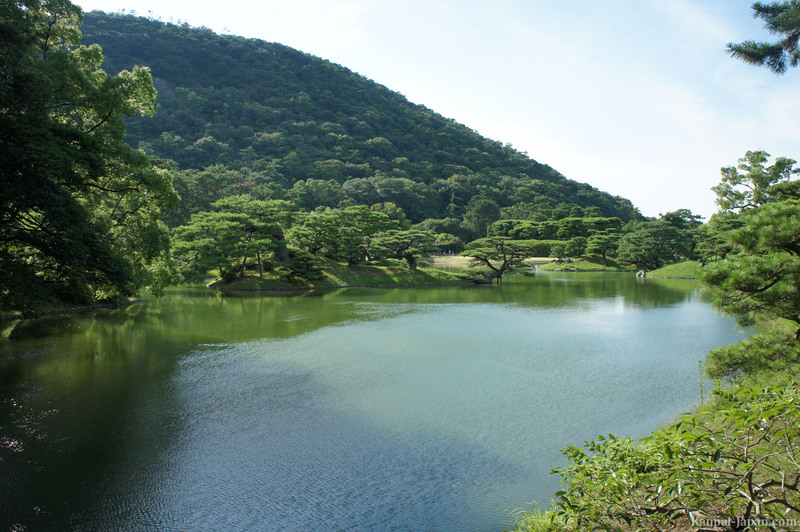 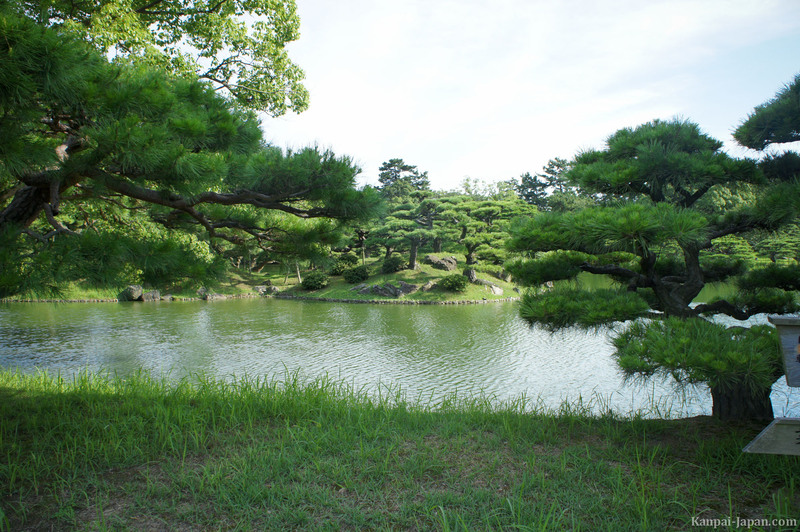 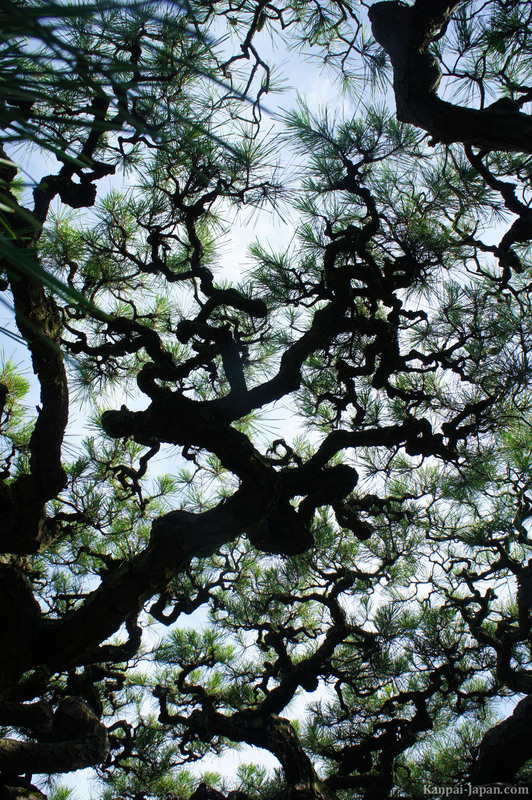 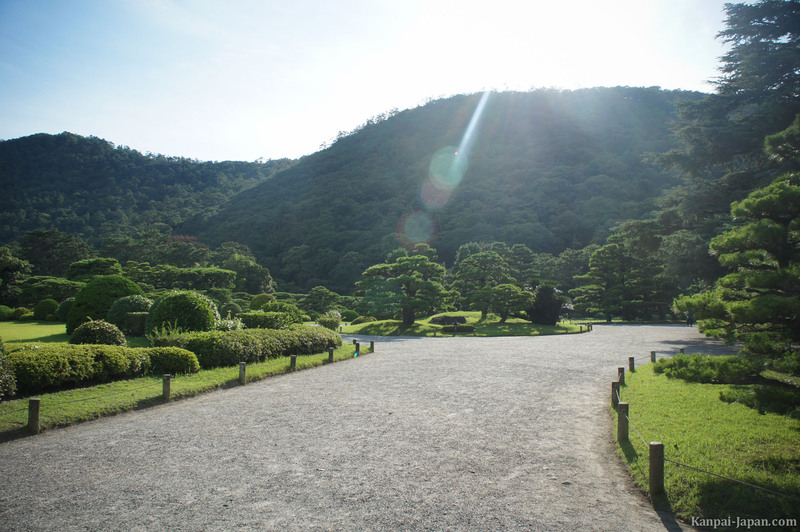 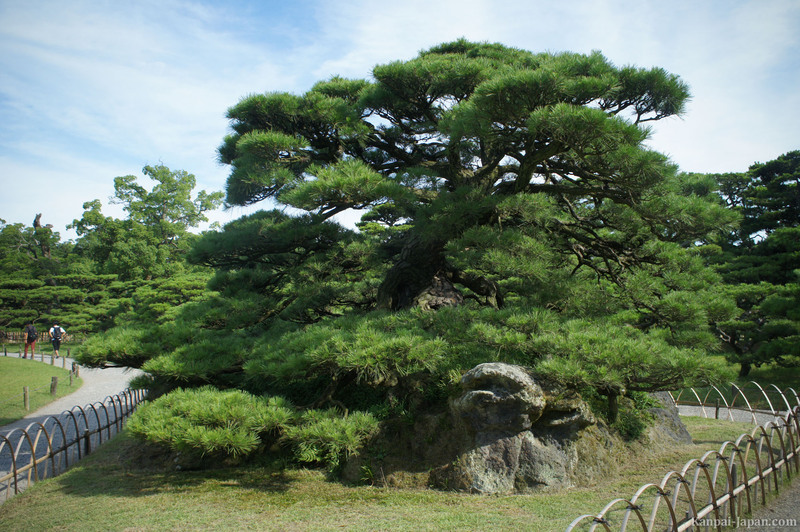 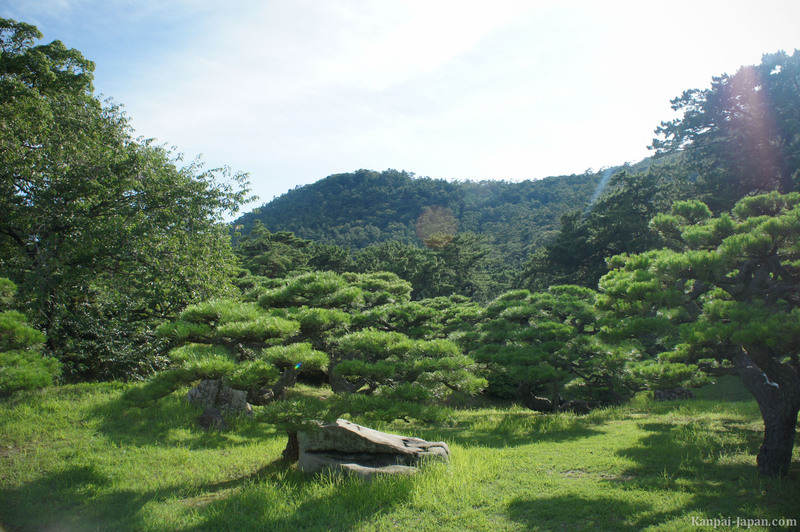 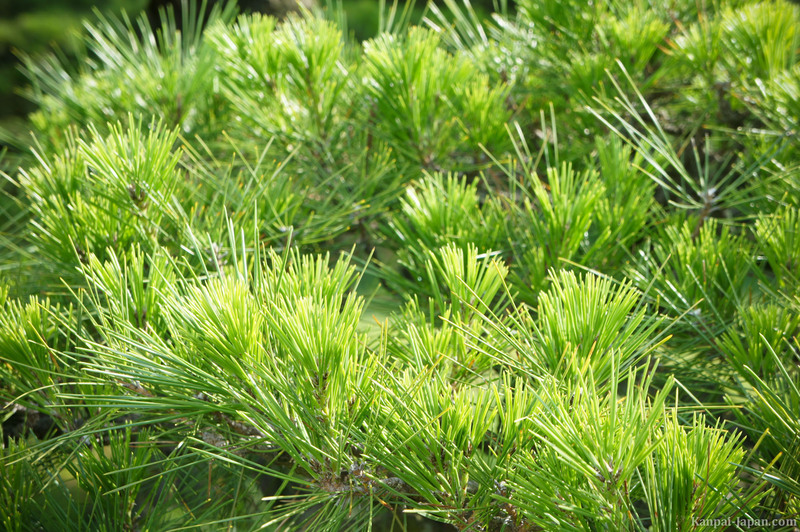 In many specialists' opinion, Ritsurin Park is one of the most beautiful gardens in Japan, by its construction (which started in 1625) and maintenance. 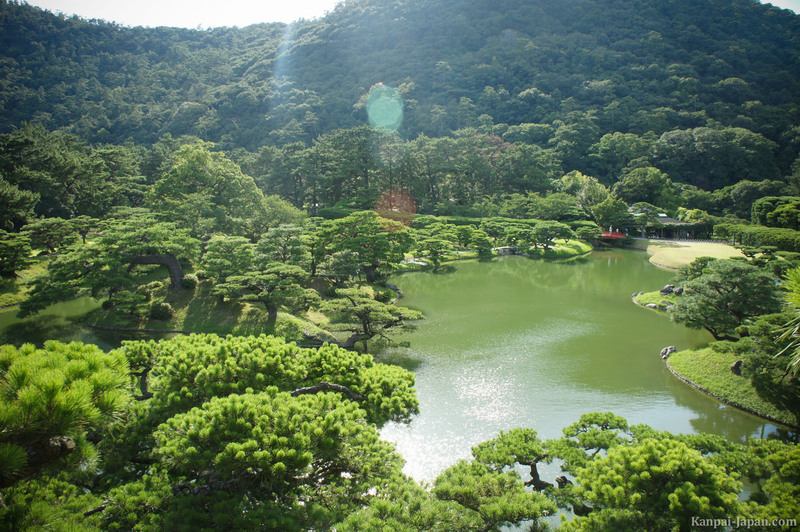 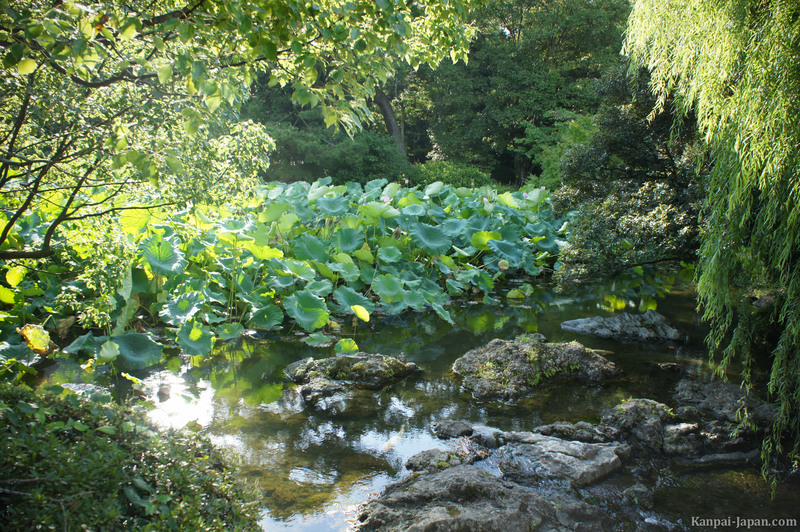 All lovers of Zen and Japanese gardens must absolutely spend some time there. 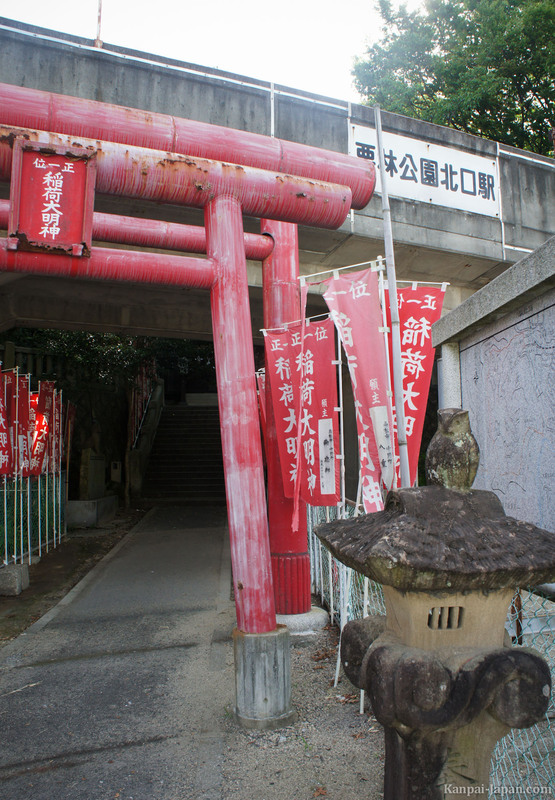 We visited it on our first afternoon in Takamatsu. 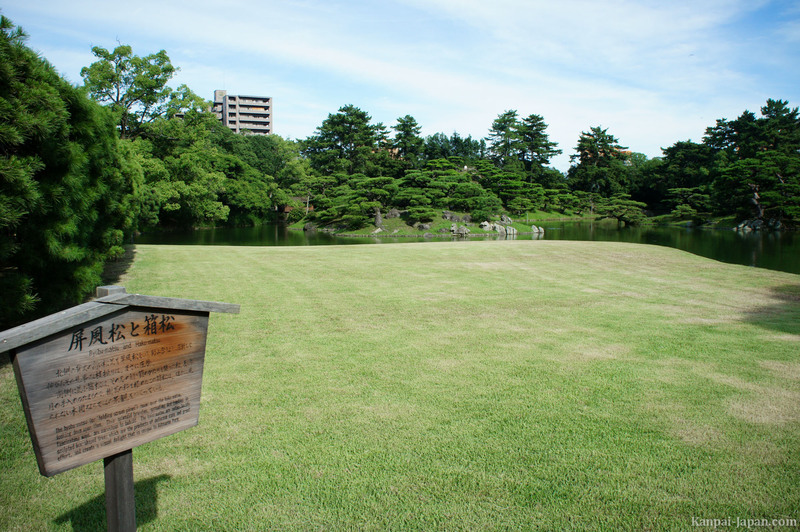 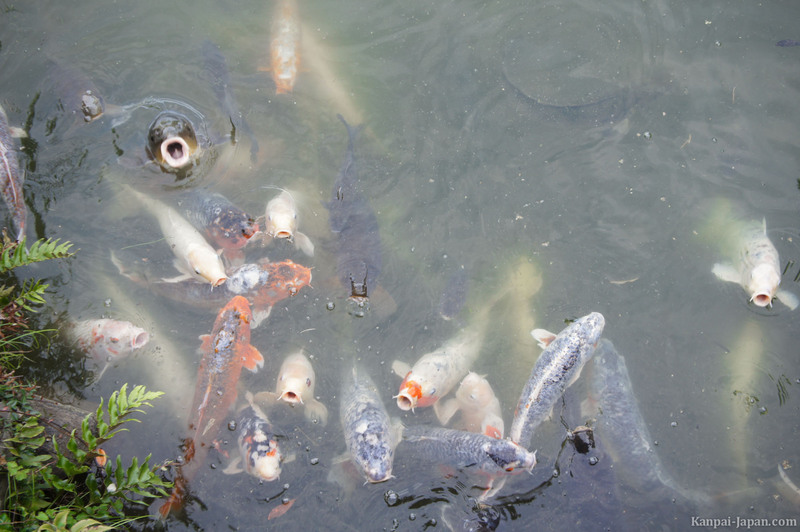 The park is just minutes away from the main station of the city, by train either JR line or Kotoden. 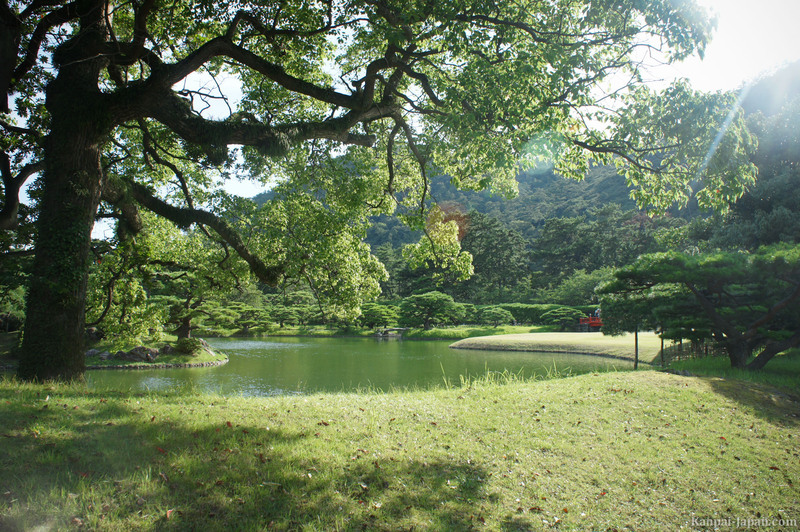 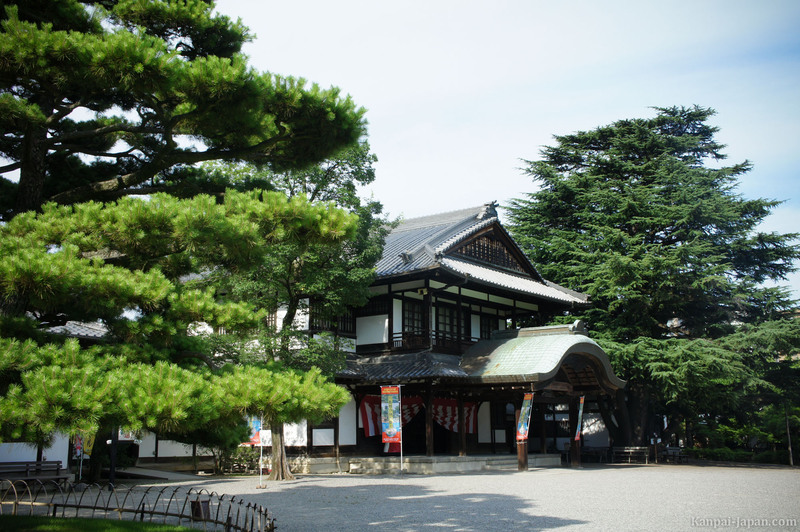 Admission is 400 ¥en and offers two visits, one-hour or two-hours long depending on how long you wish to stay. 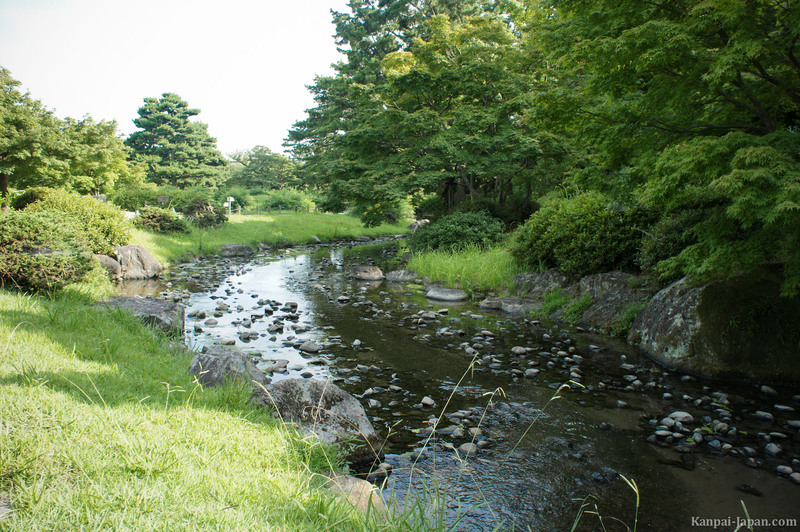 For those interested, a park map and an audio commentary are available in English. 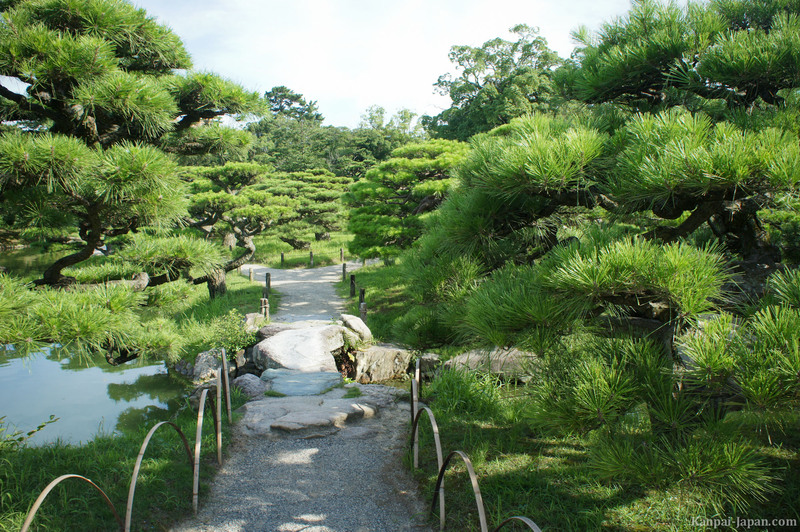 Ritsurin Park is absolutely stunning, extremely well maintained and very green, even in summer with the hot weather in Japan. 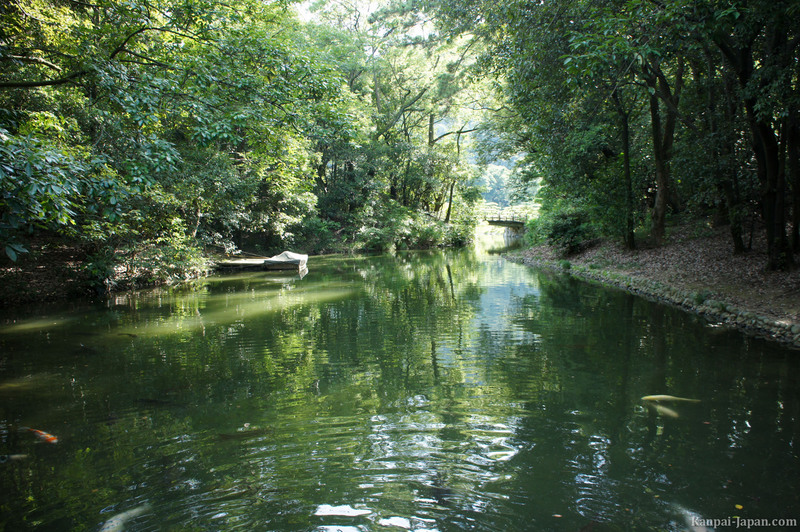 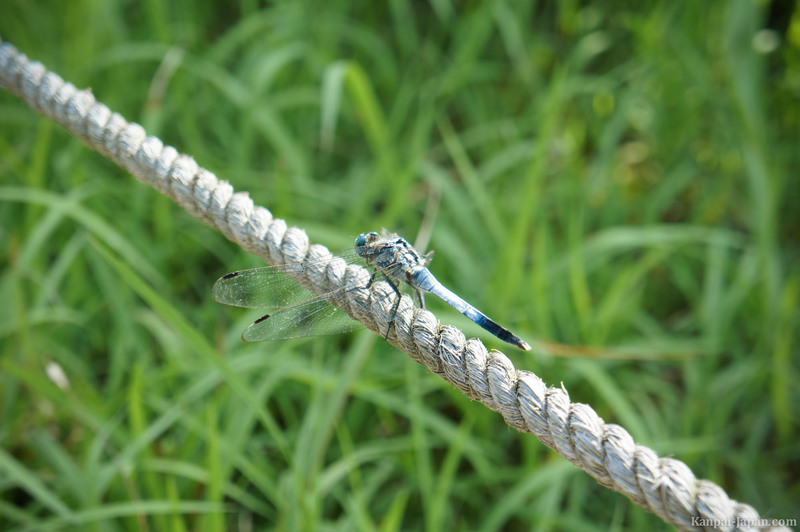 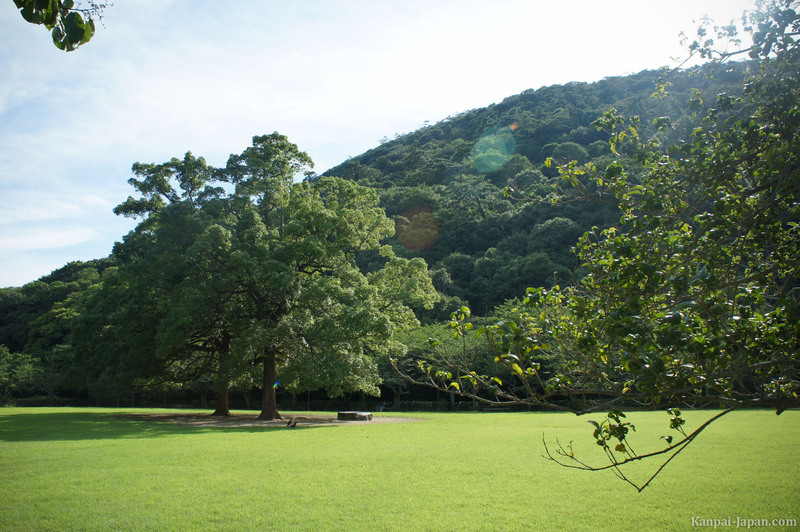 A whole border of the park is next to the Mount Shiun, offering a sublime background and a beautiful color palette. 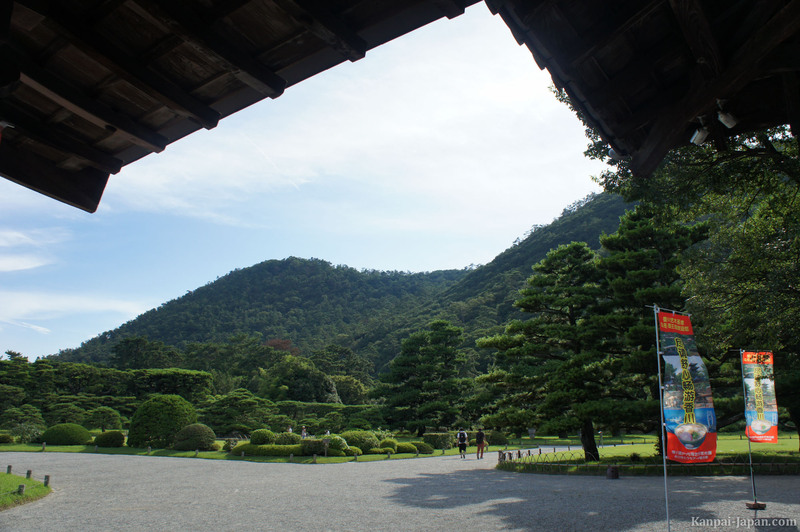 For those interested, a tea house is in the heart of the gardens.